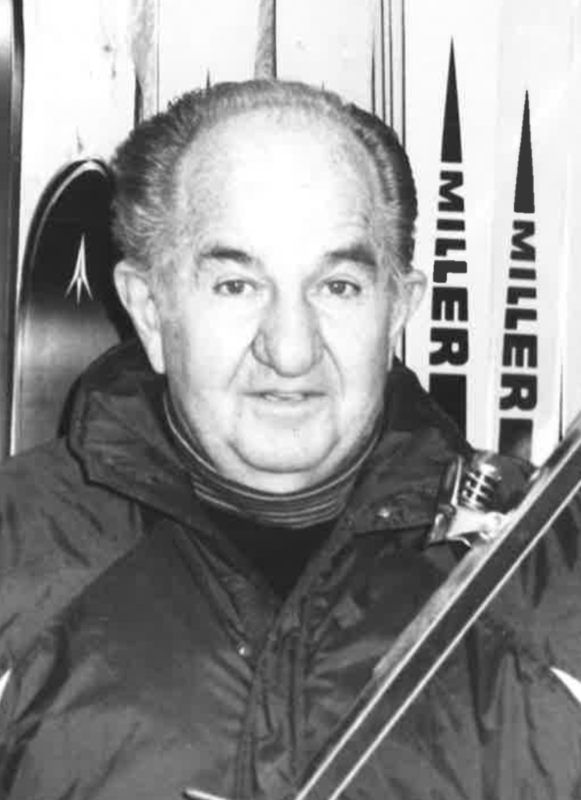 Earl Miller was founder and president of the Miller Ski Company. An inventor and an entrepreneur, he devoted his lifetime to the sport of skiing. He worked to make it safer and more fun. Earl had more inventions beneficial to skiers than all other ski inventors in the world combined. Earl A. Miller attended UCLA, Washington State University and graduated from BYU where he was captain of the ski team. He later became the first coach at BYU. Miller was a certified professional ski instructor and was one of twelve pro-skiers who worked initially to form the Professional Ski Instructors of America (PSIA). Growing up in the racing circuit, Earl was Utah’s four-way ski champion in 1943 and competed in the U.S. National four-way championships. During World War II, he served as a P-51 Mustang fighter pilot. In his original class of 400, he graduated first in flying skills and second in academics. He was the first ski school director at Sundance Ski Area, first ski coach of BYU and taught skiing in Europe and Japan. A lifelong student of linguistics, Miller was conversational in seven languages. As a ski area designer, he planned the original Sundance Ski Area in Utah and served as its first ski school director. He has designed mini-type ski areas such as Lakeview, Montana as well as super areas like 7-Mountain. Earl was the first person to classify ski falls and relate them to specific bones broken and he developed a tension-meter to measure pressures needed to break bones. A leading inventor, he held more than 100 patents and trademarks. He was the head equipment designer for companies in Austria, Japan, Germany and the United States along with designing products for Miller Ski Company. His most significant inventions were the ski brake, the Twin Cam, the Double Roller, the platform ski pole grip and the Miller Soft, arguably the best powder ski in the world. Earl A. Miller was elected to the U.S. National Ski Hall of Fame in 1994. If you notice any errors or inconsistencies in Earl Miller's bio, click here to let us know.